Deed restrictions are being considered as a measure to stabilize the housing supply for Tahoe area residents, curtailing new allocations for short-term rentals and possibly unoccupied second homes. 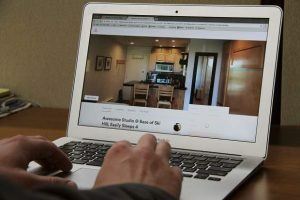 Short-term rentals, and the impact on neighborhoods and housing stock, have long been a divisive issue in the Lake Tahoe Basin. That’s likely to continue with the Tahoe Regional Planning Agency proposal for deed restrictions limiting new construction of short-term rentals and unoccupied second homes. The aim of the deed restrictions is to open up more housing for locals, and to cut back on complaints associated with short-term rentals, often reserved on websites like Airbnb and VRBO. “We local residents are being treated like trash,” Janet McDougall said during public commentary of a TRPA Local Government Committee meeting on the issue. She said most of her neighborhood now consists of vacation rentals and unoccupied second homes. The deed restrictions are being considered as a measure to stabilize the housing supply for local residents, as the agency’s staff proposed deed restrictions on allocations for new construction, curtailing new allocations for short-term rentals and possibly unoccupied second homes. The TRPA has 1,820 allocations to be issued between now and 2033. Since 2012, 13 percent of allocations have been used as short-term rentals. A short-term rental, as defined by staff, is a home rented out for stays of 30 days or less and is not occupied by either the owner or another resident for 182 days or more of each year. An unoccupied second home is defined as a home that is not occupied by either the owner or another local resident for 182 days or more out of each year. Area real estate agents say deed restrictions infringe on the rights of property owners, while doing little to help solve the housing problem. In South Lake Tahoe, Measure T, a voter-approved ban on most vacation home rentals in the city, was passed last November, but is now facing litigation. The housing issues facing Lake Tahoe communities vary across the region. The North Shore has a housing shortage of more than 12,000 units, according to a TRPA staff report, while in South Shore a reported 250 school-aged children are living in motels. Of the roughly 47,000 total units in the basin, according to the report, 58% are secondary residences, and of those, roughly 21,000 sit vacant most of the year. And about 6,000 are short-term rentals. Falk said the matter has taken time away from coming up with realistic solutions to the housing problem in the Truckee-Tahoe area. Due to different issues facing communities around Tahoe, Falk contended that the housing problem should be left to local governments. “Leave it in the hands of local jurisdictions to do what is right and what they feel is best for their unique challenges and opportunities, because frankly, the (Tahoe Regional Planning Agency) covers too wide an area,” said Falk. Truckee made more than $2 million in total Transient Occupancy Tax revenues during the 2017-18 fiscal year, according housing council’s report, while North Tahoe pulled in more than $10.5 million. The proposed deed restrictions would affect newly constructed units. Falk said the proposed deed restrictions are a violation of homeowners’ rights, and would ultimately, adversely affect local economies around the basin. 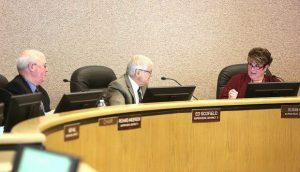 The Local Government Committee moved to continue with the matter, and will pick it up again during its April 24 meeting. The meeting will go from 9:30 a.m. to 5 p.m. and will be held at the Tahoe Regional Planning building in Stateline.